Lemon Law attorney David W. Polsky is here to help! Buying a new car should be a fun and exciting experience, but sometimes the thrill of a new car wears off quickly in the face of sudden problems that shouldn’t be occurring. Anger and frustration set in as you return to the dealership multiple times to have them look at it without any fix to the problem. Rental fees could be adding up and perhaps you’re leery of driving the vehicle because it might be dangerous. Sound familiar? Luckily, though most litigation is extremely tedious, The New Jersey Lemon Law Unit created in 1989 to help those who have bought or leased defective automobiles. Instead of going through the Superior Court, the case is brought before an administrative judge by an experienced attorney like David W. Polsky, which expedites the process and in turn takes far less time than when litigated in the traditional courts. Though the qualifications are different depending on whether the vehicle is new or used, both can find Lemon Law relief. To qualify as a “lemon” a new car must have a defect which substantially impairs the use, value, or safety of the vehicle, or a serious safety defect which is likely to cause serious bodily injury or death if the vehicle is driven. The New Jersey State Lemon Law covers used passenger vehicles are if they are seven model years old or less, are purchased for at least $3,000 and do not exceed 100,000 miles. Licensed dealers must provide consumers with a warranty if the car meets these criteria. Remember that claims in both new and used cars, the defect must still be present in the car until the process is complete. 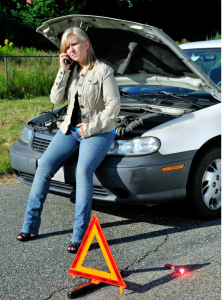 The relief you can expect also depends on whether your car is new or used. For new cars you can recover the purchase price or leasing costs, finance charges, reasonable attorney fees, application fees, repair costs, reasonable rental costs, expert witness fees and towing costs. For used cars you can recover the total purchase price of the vehicle. Both new and used cars have allowance for a personal use deduction based on a formula. It is also not uncommon for the dealer or manufacturer to offer a settlement prior to litigation. While these settlements may be a good option depending on individual circumstances, they are usually made by the company with attorney assistance. Keep in mind that it is possible that the offer is only in the best interest of the Dealer/ Manufacturer and should not be taken. A licensed attorney experienced in lemon law litigation, like David W. Polsky can help you with your decision. Please note that while the lemon law process is both faster and cheaper than most other forms of litigation, it is by no means user friendly. It requires you to properly put big corporations on notice in precisely the right way in addition to filling out meticulous forms and gather mountains of information and documents. Once at court, the dealer or manufacturer has a strong interest in winning their case. Their attorney will look to exploit any mistake you might have made. They will have experts at their disposal to scrutinize your car and find any reason why the dealer or manufacturer is not liable. You can greatly improve your chances of success by having an attorney who has the experience to see these issues coming and address them without being caught off guard. If you buy a car, always make sure to keep your documentation in a safe place. Notify the dealer immediately if you do experience a problem and follow their instructions. Be sure to follow all required maintenance and care guidelines—this will be to your benefit and will make your case go much smoother if you have to use the lemon law process later on. If you think you have purchased a lemon, contact me, David W. Polsky at 973-686-9787 to schedule a free consultation. I will be happy to meet with you and discuss the merits of your case. As with all my clients, I know just how important your case is to you and will give you the attention and diligence you deserve.